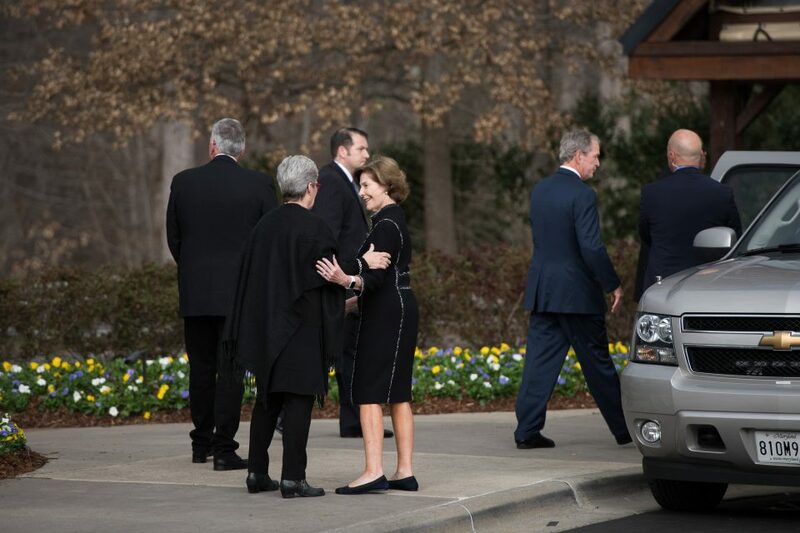 The 43rd President of the United States and former first lady Laura Bush visited the grounds of the Billy Graham Library in Charlotte, North Carolina, on Monday afternoon to pay their respects to their dear friend, Billy Graham. The Bushes arrived at about 3:45 p.m. and warmly greeted Franklin and Jane Graham. 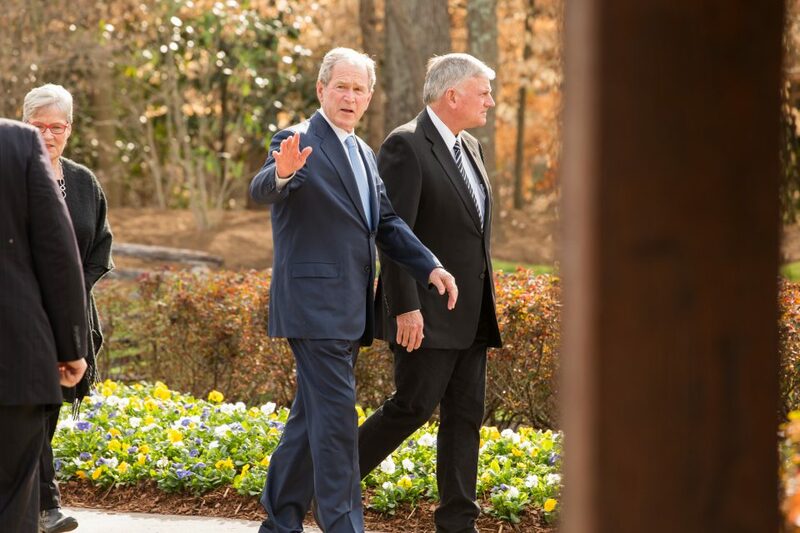 Mr. Graham met with every president since Harry Truman, including President Bush’s father, George H.W. Bush. 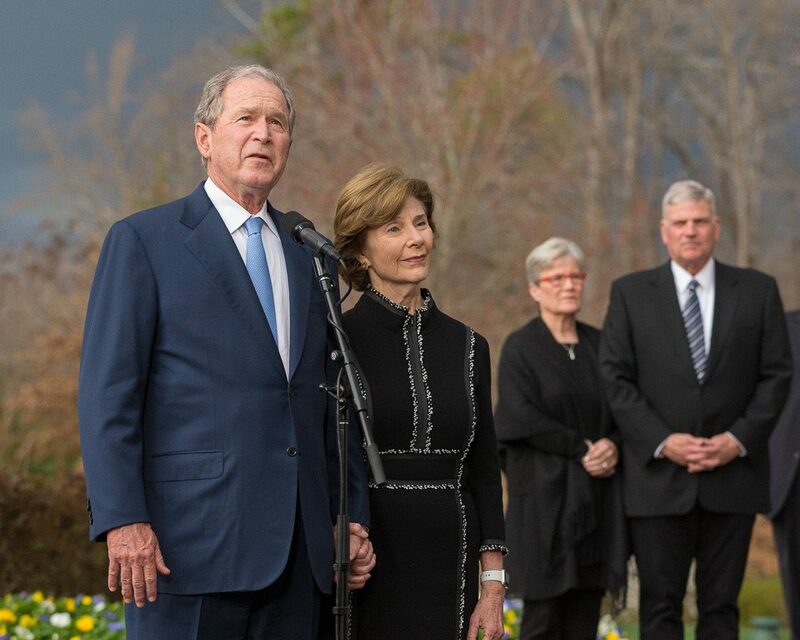 "Billy Graham and Dad were great buddies, and I know he wished he could come, too," President Bush said about the visit. Jane Graham and Laura Bush gave each other a friendly welcome. 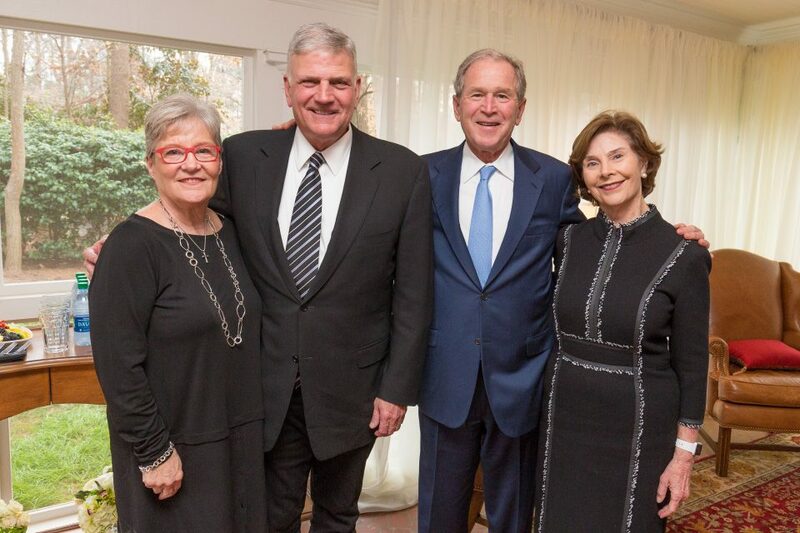 The day Mr. Graham died, President Bush shared on Facebook that he and Laura were thankful for the life of Billy Graham, and sent their heartfelt condolences. 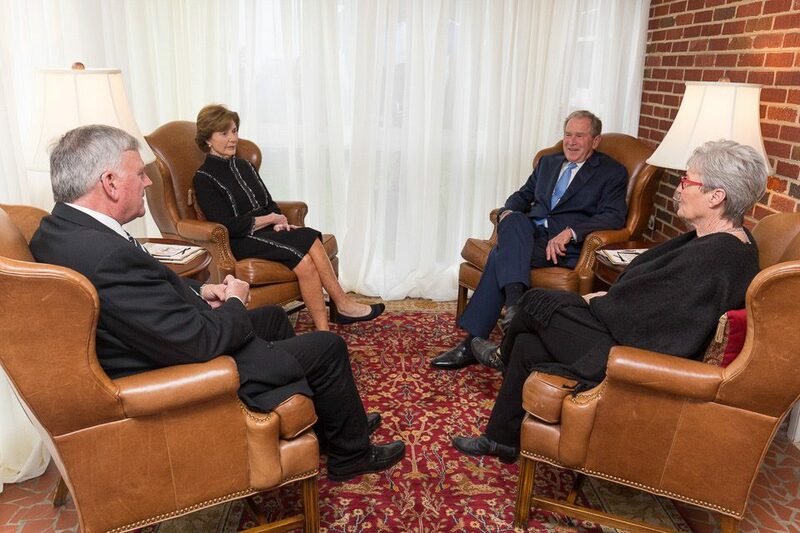 Franklin and Jane Graham visited with President George Bush and first lady Laura Bush for about 30 minutes inside the Graham Family Homeplace, where Billy Graham is lying in repose until Tuesday night. On Wednesday, he will lie in honor in Washington, D.C., where he was known as "Pastor to Presidents." 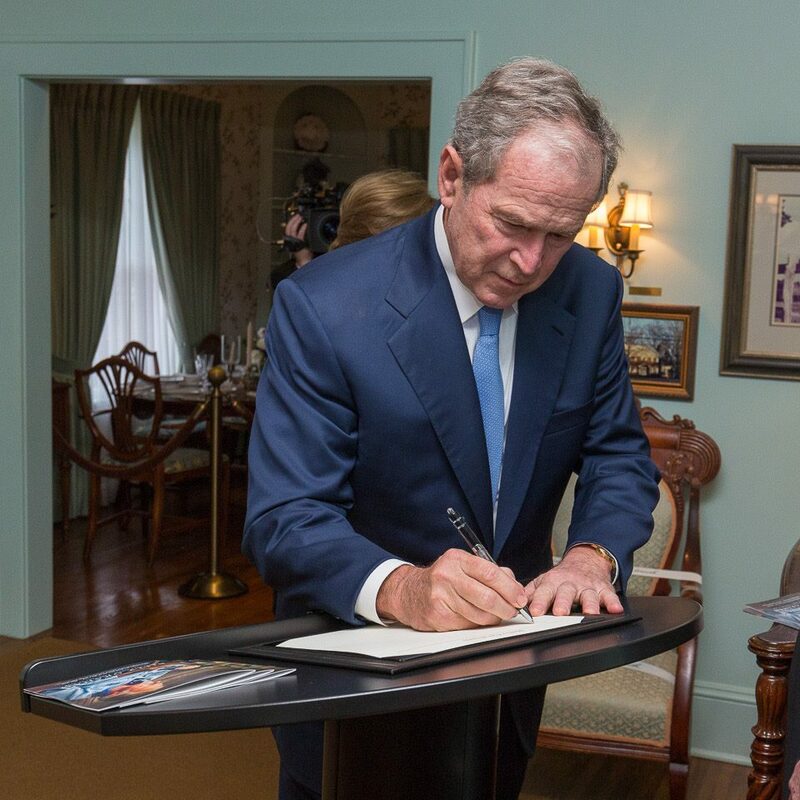 President Bush signs Billy Graham's guest book. He first met Mr. Graham on his grandmother’s porch in Maine in 1985, 16 years before he took office. Learn more about his family's relationship with the Grahams. 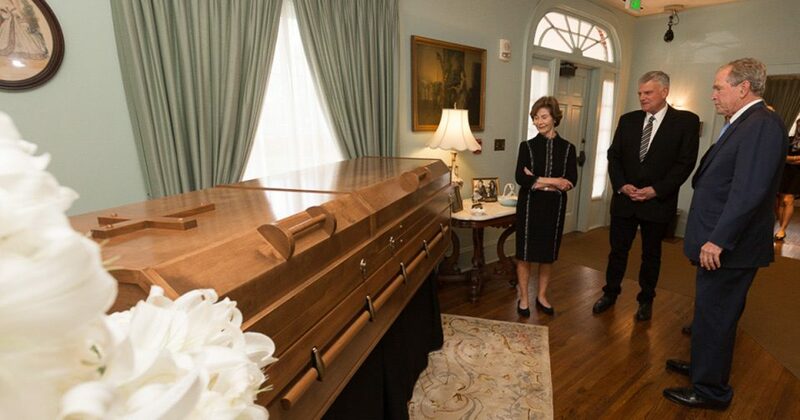 The Bushes stand at Billy Graham's casket with his son, Franklin. 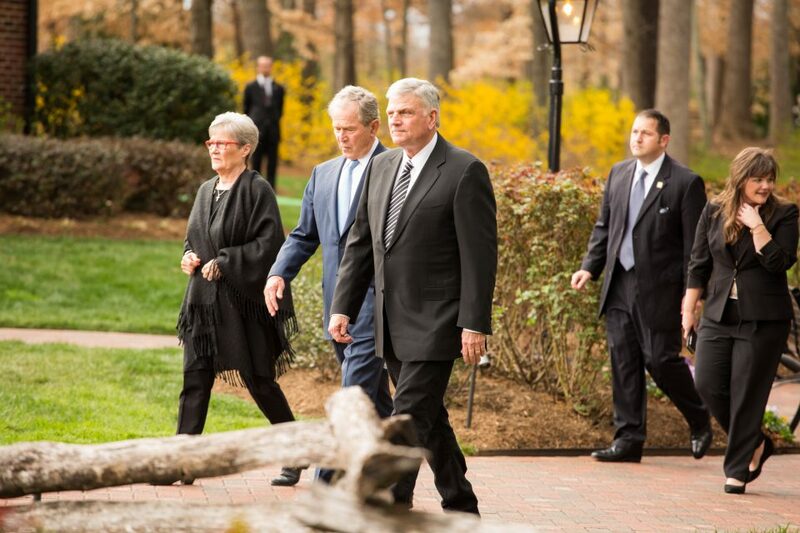 After the visit, former President Bush said, "If there’s such a thing as a humble shepherd of the Lord, Billy Graham is that person. I am unbelievably blessed to have met him." 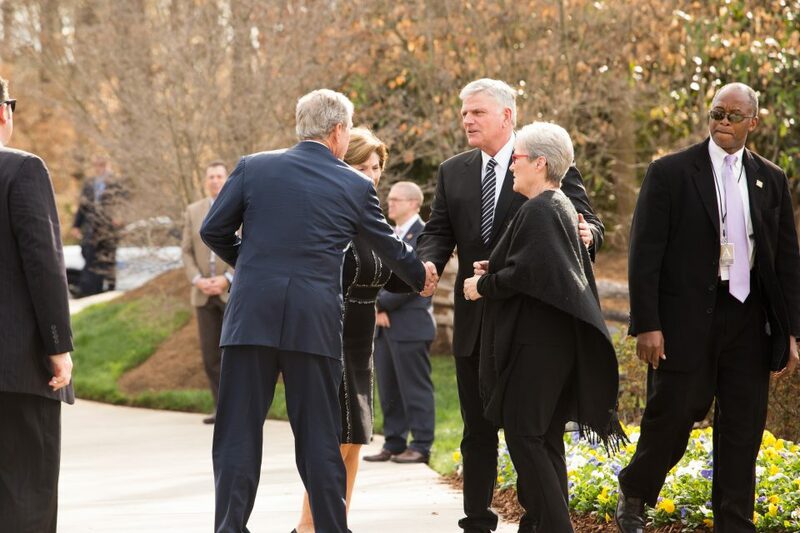 Monday wasn’t the couple's first time at the Billy Graham Library. 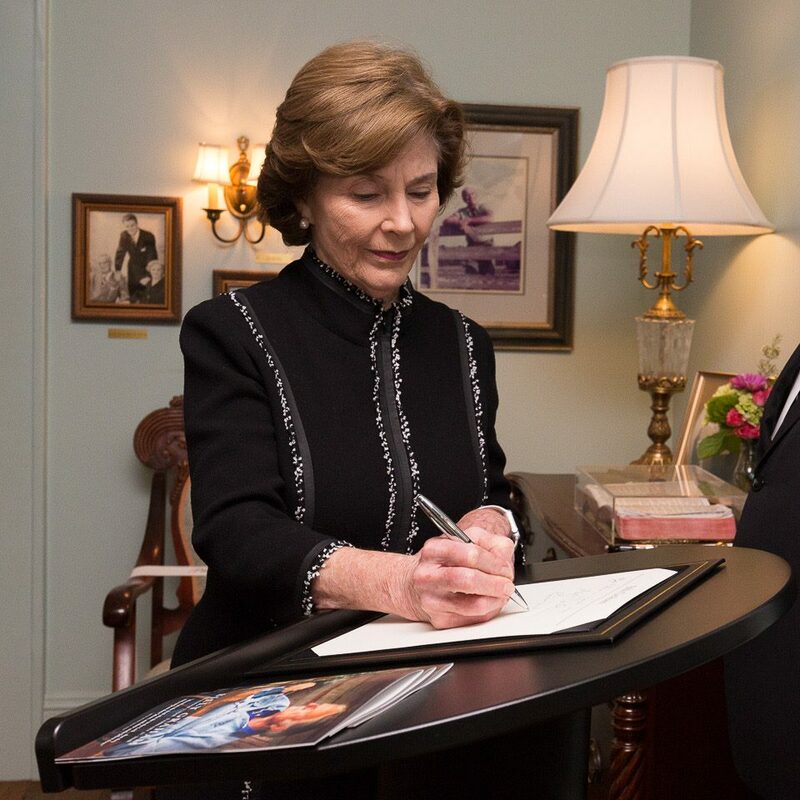 President Bush and former first lady Laura Bush were there in 2010 to sign copies of their memoirs and meet again with their longtime friend. 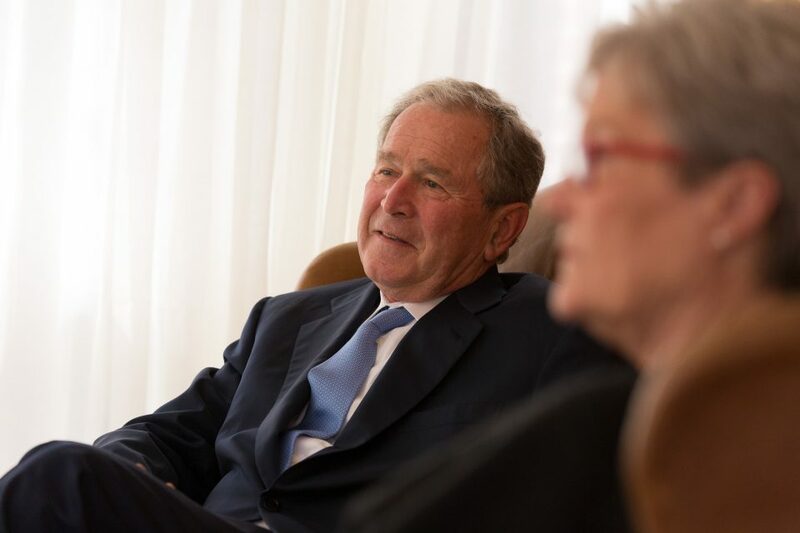 “We’re very grateful that President Bush came today with Laura. That was a great honor,” Franklin Graham said.